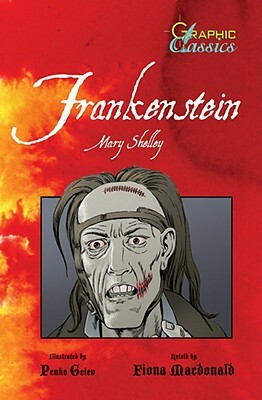 Perhaps the most famous gothic novel in all literature, this is the story of Dr. Frankenstein, his experiments that sought to produce human life, and his creation of the legendary monster. The attractive and rapidly growing Graphic Classics series uses the graphic novel format to introduce children to many of the world's greatest literary works. The atmospheric illustrations are of unusually high quality, and the narratives are paced to attract and hold young readers' interest. In addition to the story, each Graphic Classic features a brief biography summarizing its author's life, a list of his or her important works, a time line of historic events that helped inspire the story, general notes, and an index. These books make ideal introductions to the riches of world literature to junior and senior high school students--and especially to those young readers who are hesitant to delve into the books in their original form. All Graphic Classics are available in both paperback and hardcover editions.